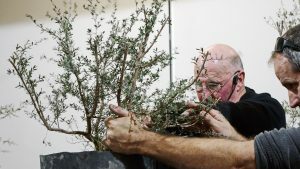 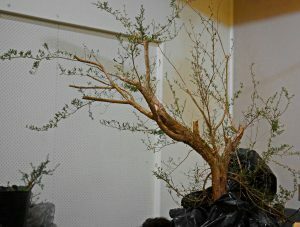 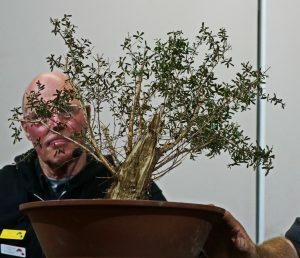 The August meeting was primarily focused upon the initial styling of Kunzea ericoides collected on the most recent dig day (30th July) The trees collected on that day have been in pots for merely a matter of days and attention was given to ensuring the trees survival as much as it was to develop its style. 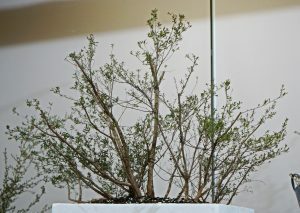 Other members worked on trees that were collected 12 months ago at a previous dig. 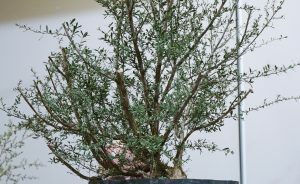 Jasmine’s Kunzea collected on the 30th July .. Lots of good growth and options available for development, quickly styled to develop the natural movement in the trunk and branches. 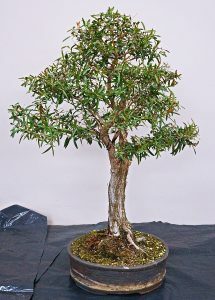 Two examples of small collected trees that were almost instant bonsai. 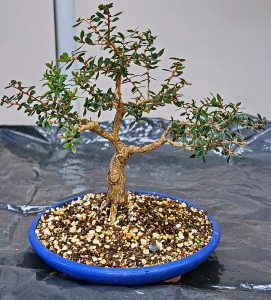 In the first pic, the rock was also collected on the dig day and a bowl was ground into the granite slab, drainage holes bored through the rock, a little trimming and grinding back, to produce an almost complete display, ten days from collection. 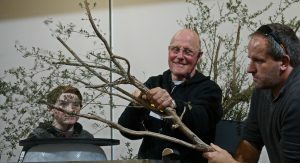 A steady stream of collected trees were reviewed, assessed and initial styling was begun on the night. 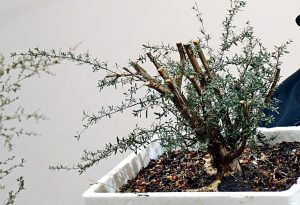 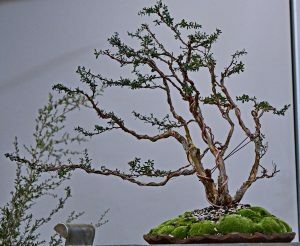 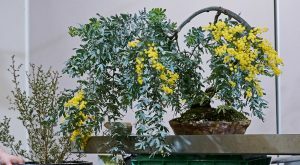 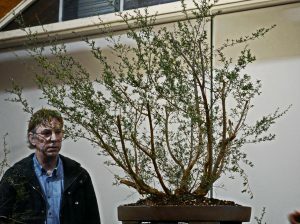 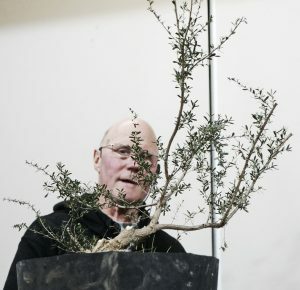 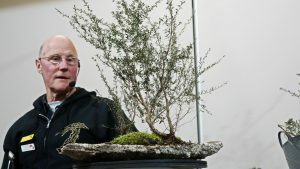 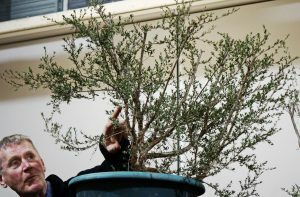 It was apparent from the different methods and treatment selected that the Kunzea ericoidies, as bonsai material, does have considerable scope for a variety of styles.